At the dawn of the PC gaming era (back when PC meant Apple, Atari or Commodore 64), an early off-shoot of role-playing games based on the Dungeons & Dragons table-top experience was a genre called “the dungeon crawl.” It was a first person experience that had players exploring dungeons laid out on a grid, killing monsters, collecting loot, returning to town to heal up and sell loot, then go back in for more. 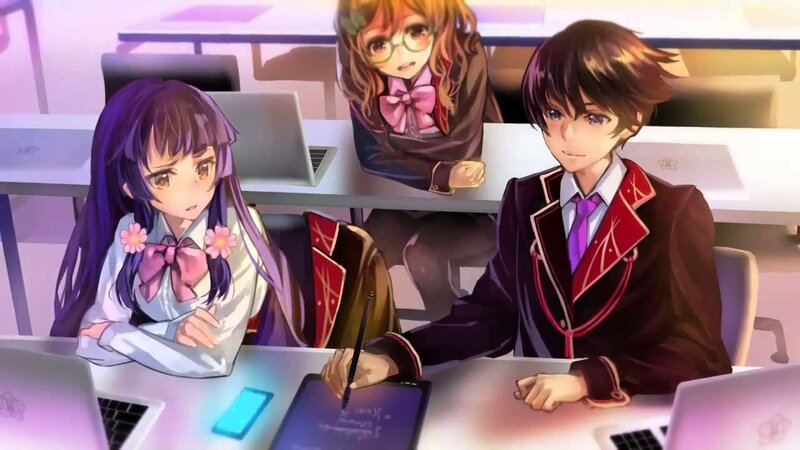 It’s a genre that’s mostly died off in recent years, but Experience Inc. is keeping the flame alive on the Vita with Operation Abyss. 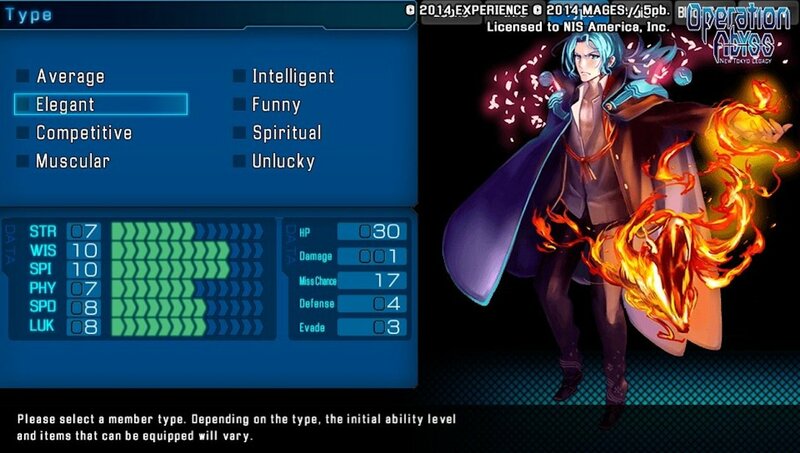 Experience is already pretty well versed in the dungeon crawl, having previously released Demon Gaze on the Vita. Operation Abyss shares a lot of similarities in that it’s also a modestly budgeted experience, with traditional text boxes and portraits in lieu of shiny CG cut scenes. 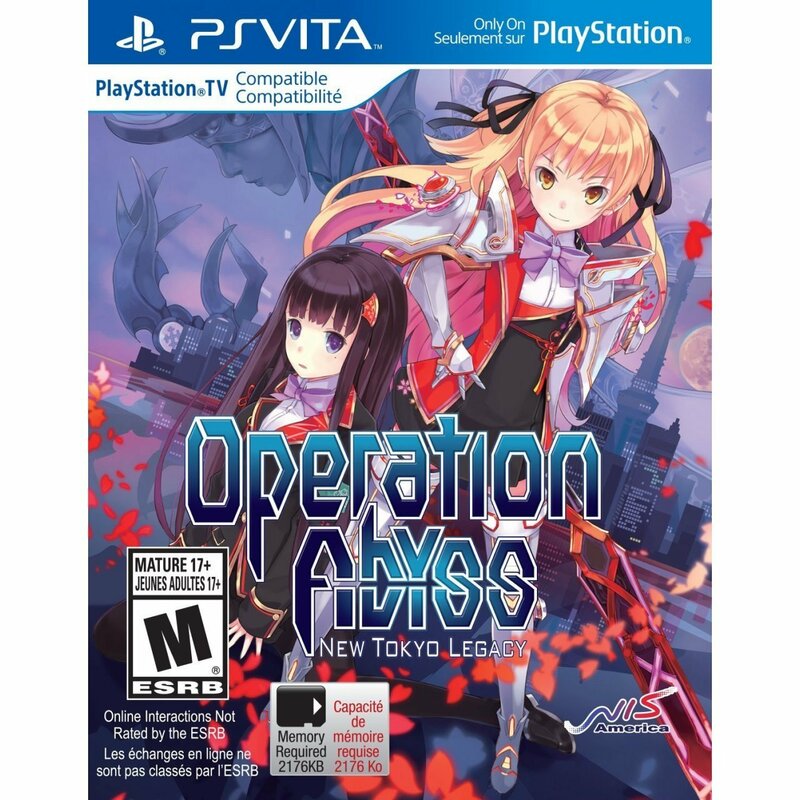 But where Demon Gaze was more of a conventional fantasy game, Operation Abyss moves the action to modern Tokyo setting. As a hapless victim kidnapped by demons, your character is rescued by an organization using super-powered teens as front line soldiers, and you become the latest recruit. 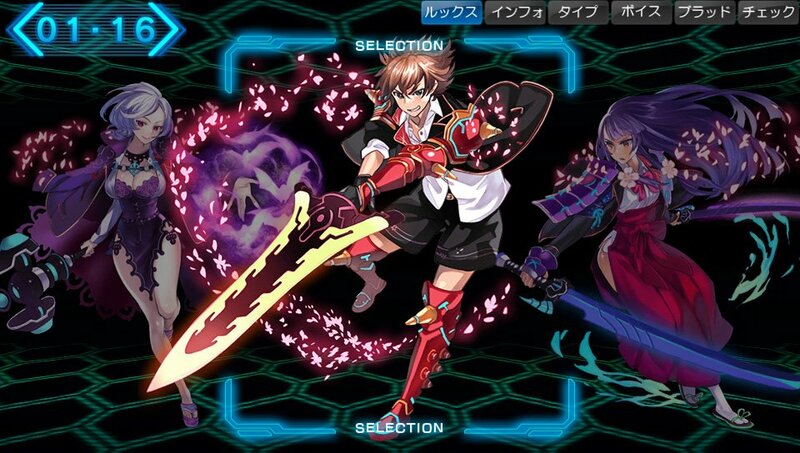 Like Demon Gaze before it, Operation Abyss is largely a menu-driven/first person dungeon crawler where your adventuring party is composed of randomly generated characters. This isn’t like regular JRPGs, where your party has drama and character arcs, it’s pure functionality here, where names and personalities are irrelevant and the important thing is whether you have your healer, melee and combat magic members properly balanced and positioned. As with most dungeon crawling games in this older tradition, combat is turn-based, with enemies appearing on screen and all attacks are presented on the enemy portraits; no fancy attack animations from your party members here. Although the presentation is pretty budget, and there’s a lack of sprawling side-quests and other activities, the main game is deep, with comprehensive RPG systems that let you level your characters and craft your own equipment in a variety of ways. Once again, this is pure, old school RPG design at work, it’s all done entirely in menus, so while you’ll never see your new destructive power in action like a Destiny player with a coveted Gjallarhorn rocket launcher, you’ll be able to craft and mod your own weapon to your taste. Operation Abyss is both more comprehensive and more forgiving than its predecessor Demon Gaze, in that shaping both your character and your gear is affords a lot of freedom, but the game doesn’t put in arbitrary money sinks like having to pay rent for yourself or your party members. That’s not to say the game is easy, and in many ways still echoes the more unforgiving nature of its predecessor. As with old fashioned, table-top RPGs, magic users can only cast a limited number of spells before they’re tapped out, and leveling doesn’t occur automatically; you need to rest to replenish these. Both of these options require cash, in form of “GP” that you spend at the medical lab. There’s also a level cap in place to prevent more patient/sneaky gamers from simply power-leveling to the point where they eclipse enemies, and this cap won’t be lifted until you advance the story. For those that play with their Vita online, there’s a Demon’s Souls-esque message function that allows other players to leave little hints—or obscure vulgarities—dotted around the dungeons adventurers to read. It all makes for a substantial experience that’ll take dozens hours, it but it lacks the polish and bells n’ whistles of a big, AAA RPG project. Dungeon crawling fans, especially on the Vita, don’t have a lot of options, so it’s good thing that Operation Abyss has it where it counts. It’s a budget title, and it shows and feels that way in many respects, but it also has deep RPG systems and a challenging level of difficulty for those that are tired of being coddled. Don’t go into this expecting The Witcher, and you’ll find a decent, no frills, little dungeon crawling RPG with a taste for your blood. 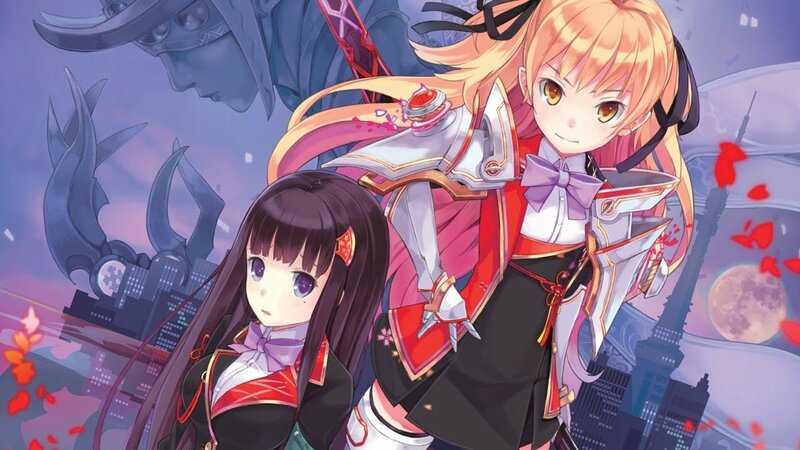 Like Demon Gaze before it, Operation Abyss is largely a menu-driven/first person dungeon crawler where your adventuring party is composed of randomly generated characters.